Sky Sports pundit Jamie Carragher believes that Wolves defender Willy Boly did not commit a foul on Newcastle goalkeeper Martin Dubravka when he scored their equaliser. 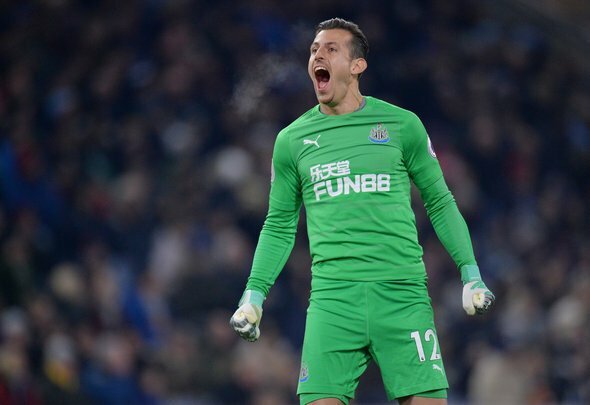 Isaac Hayden put the Magpies ahead in the 56th minute thanks to a blunder from opposition keeper Rui Patricio, but Carragher believes that it was Dubravka’s error that led to Boly scoring the last-gasp equaliser for his side. He adds that the 30-year-old has made quite a few errors recently despite being a great shot-stopper for United, and feels that credit should be given to Boly. “It wasn’t a foul, and you have to give great credit to Wolves and Boly. Dubravka has been a great goalkeeper for Newcastle, but has made a few mistakes of late,” he said on Sky Sports Monday Night Football. Rafa Benitez is no doubt fuming that Wolves were able to equalise in the way that they did, and that is no surprise. He no doubt thought that Boly had committed a foul on Dubravka, which means he thinks the goal should not have stood. To be honest though, Wolves deserved the point as they performed rather well on the night. It must be frustrating for Newcastle to concede a goal in such circumstances, but Benitez should not blast Boly, as all he was doing was being in the right place at the right time. Newcastle hardly threatened all night, and the scoreline would not have done either team justice if they ended up securing the win. Benitez should just accept that Dubravka was at fault for the goal, not the other way round as he likes to believe. Dubravka has overall been outstanding for the Magpies this season, but it is clear to see that he has been a bit error-stricken recently – including the draw against Wolves.